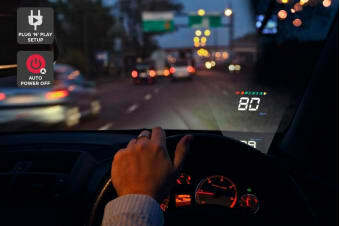 Read customer reviews of the Car Head Up Display. After a purchase, we invite our customers to leave a product review. The customer reviews for Car Head Up Display are below. After reading instructions, still having trouble getting the speed to match my Tom Tom. Also very difficult to adjust while driving.